My finished Leaves and Rain necklace photographed by Sara Rey. 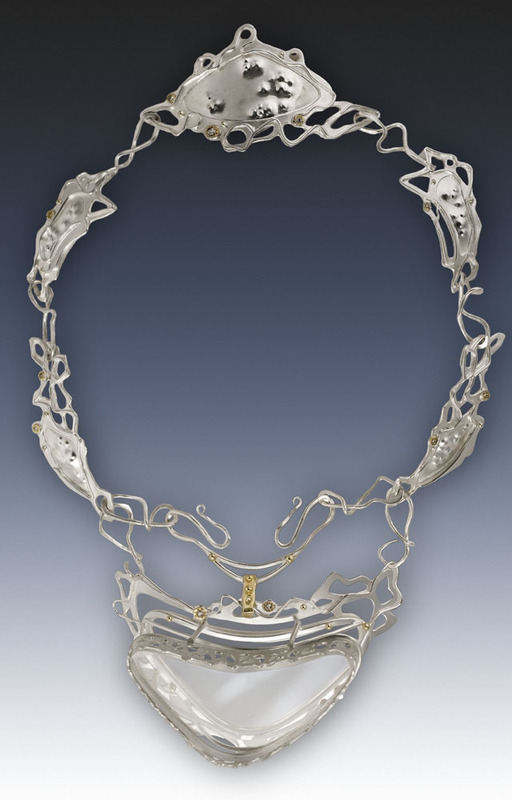 I made this necklace for the WJA Maker Project Fundraiser. 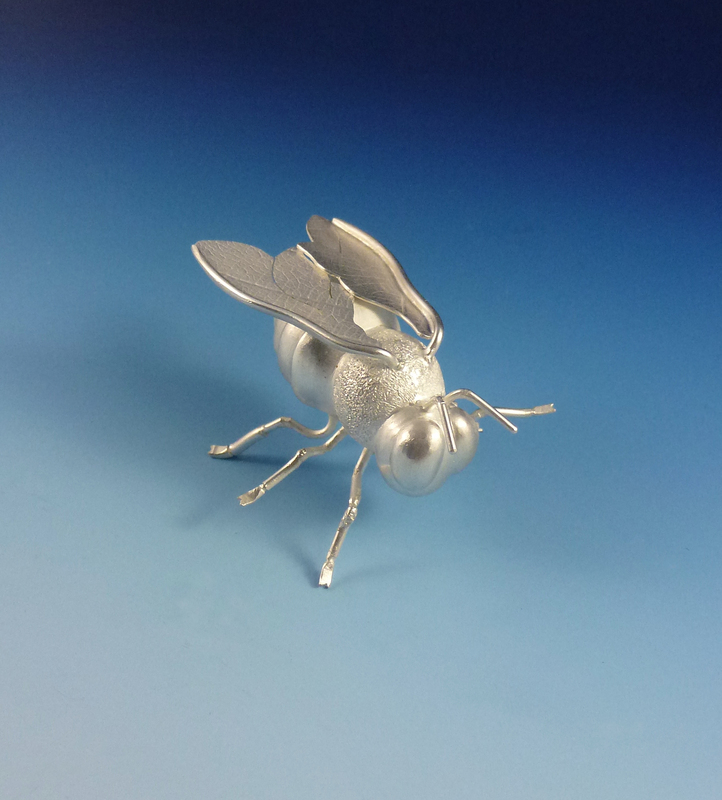 Queen Bee: I fabricated this silver bee to be a part of a crown dedicated to bees. It might take me a couple of years to finish, but hopefully it will be worth the wait! 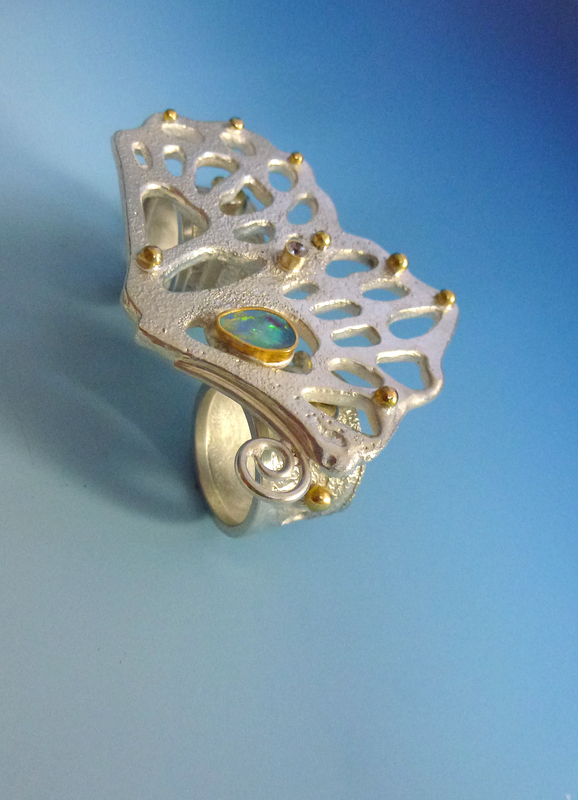 Vanishing Butterfly Ring: I made a double finger ring to match my Vanishing Butterfly Necklace. 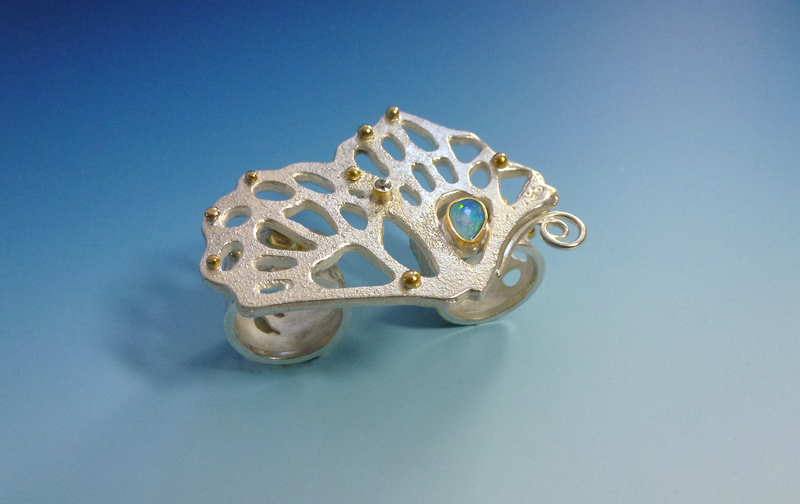 This is made of silver, gold, white sapphire and opals. 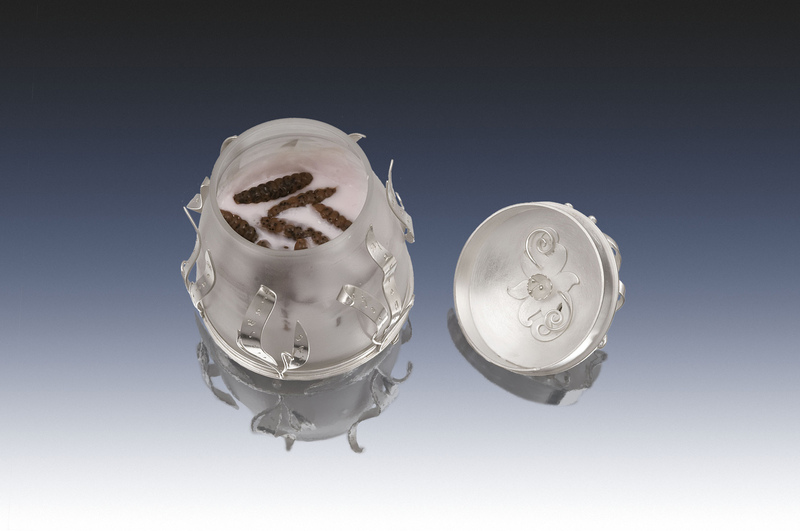 Sacred Earth Container: This box is fabricated out of sterling silver, 18kt gold, and cherry wood. Sand is stored within the box. Earth is a sacred element in Shinto practice and is used for spiritual cleansing. Sacred Earth Container: Detail Image. Back of Container. 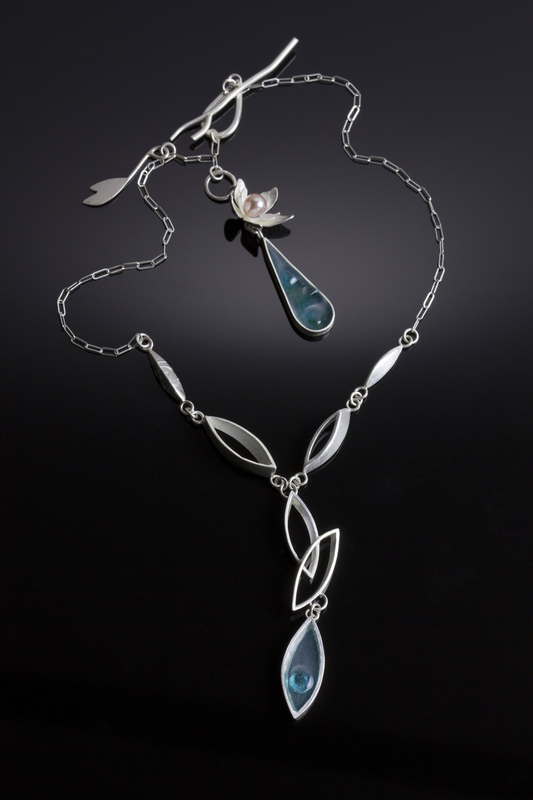 Sunrise Necklace: Made of sterling silver, 18kt gold, 24 kt gold and blue topaz briolettes. 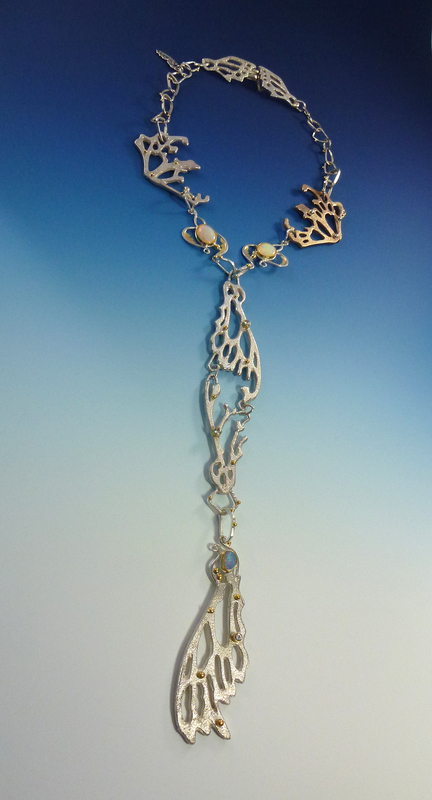 Vanishing Butterfly Necklace: I sand cast the stylized wings in silver and bronze. 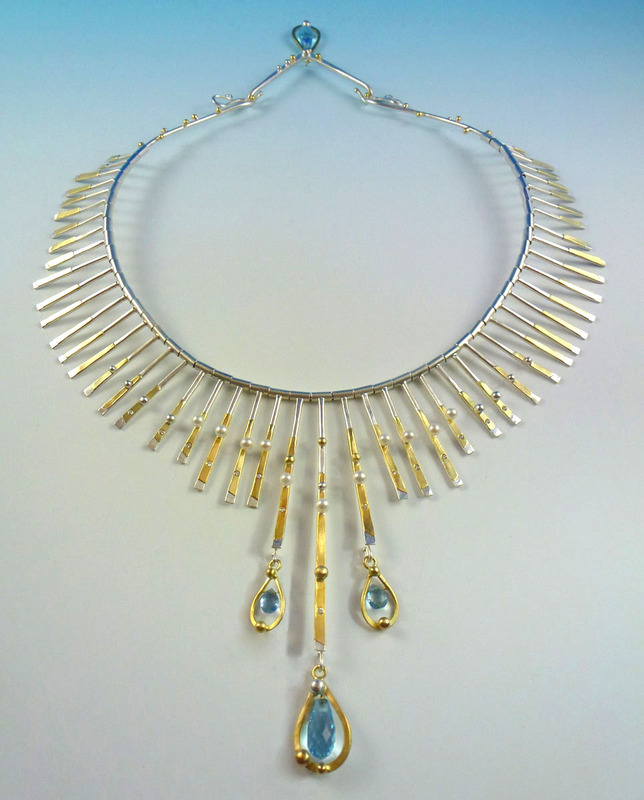 I also fabricated additional gold details and set white sapphires and opals. 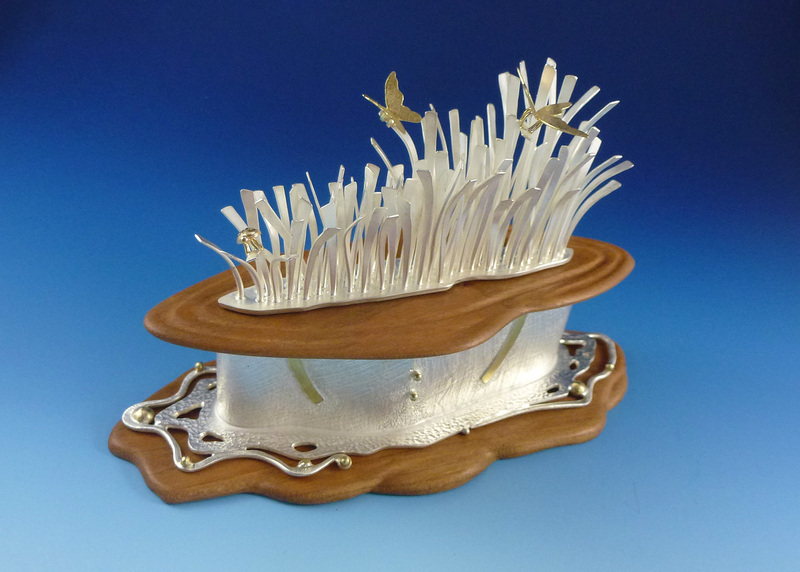 Savage Beauty: This is a head piece based on the kudzu plant. 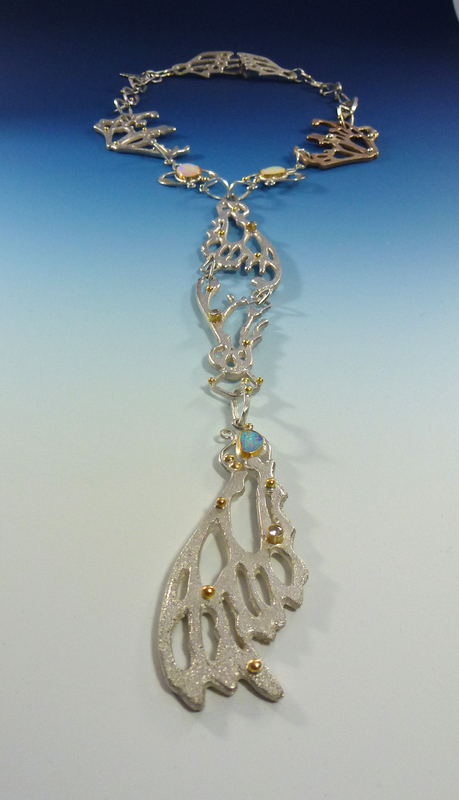 I fabricated this piece from antiqued sterling silver, 18kt gold, and prasiolite beads. 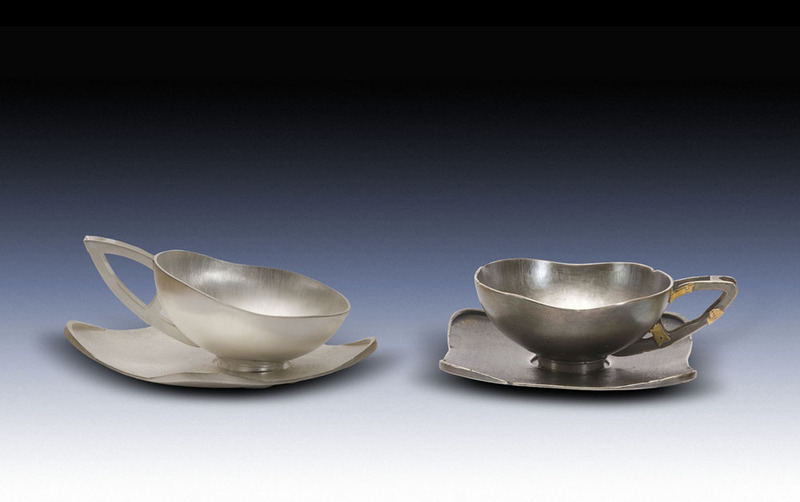 This piece was featured in “Ornament Magazine” in 2009. I recently enhanced the piece in 2015 by adding gold details and giving it a dark patina. Savage Beauty: Detail Image. 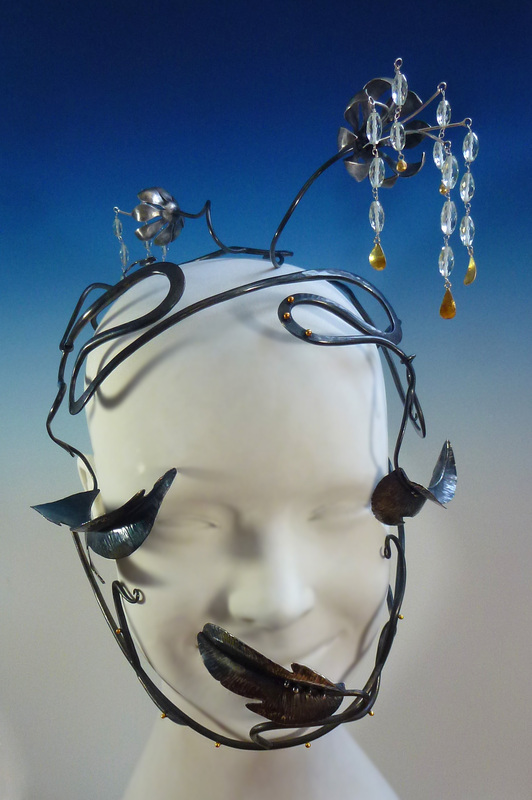 Back of head piece. In 2015, I added gold details and added a patina to give the head piece a darker feel. 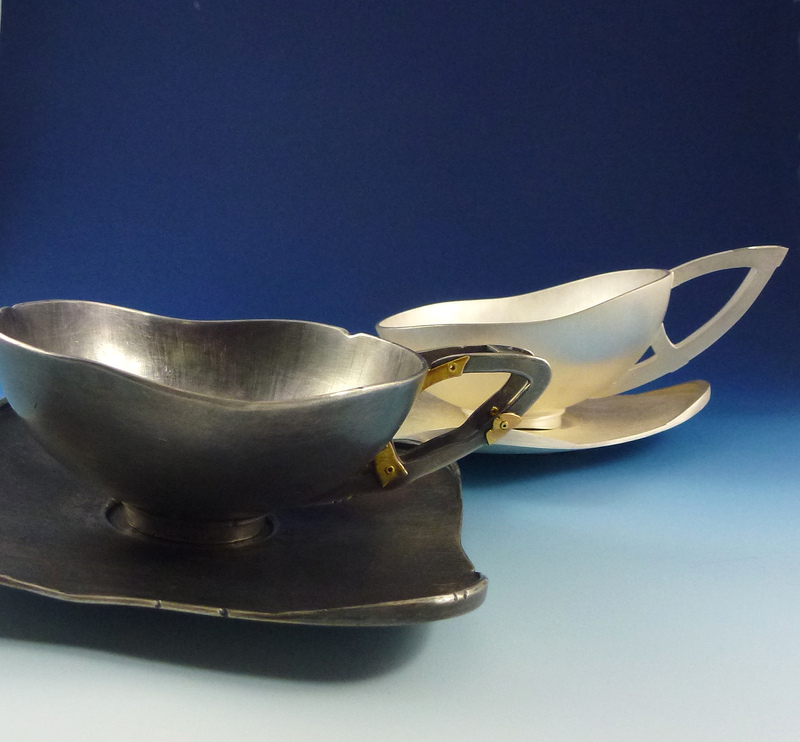 Sublime Senescence: I fabricated these teacups in silver and gold. This piece was a part of my MFA thesis show “Instruments of Vanity”. 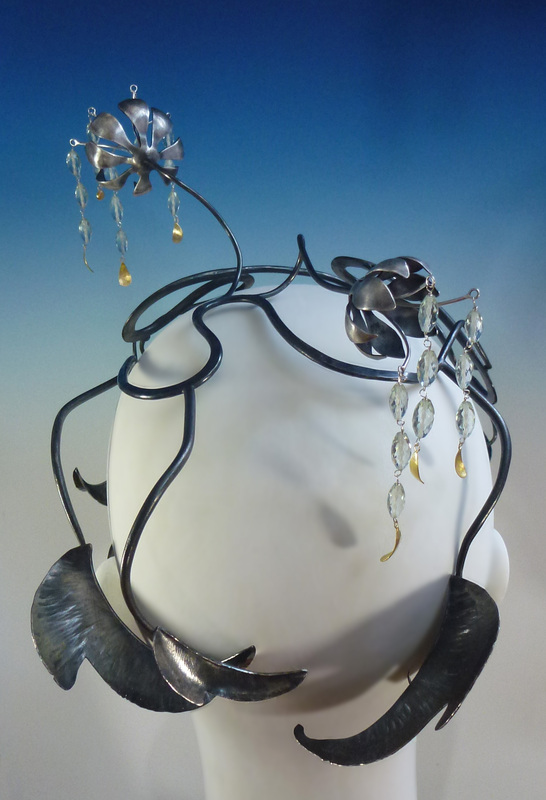 Fairness of Frailty: I made this hand piece out of an old magnifying lens, sterling silver, gold, and antique mine cut diamonds. 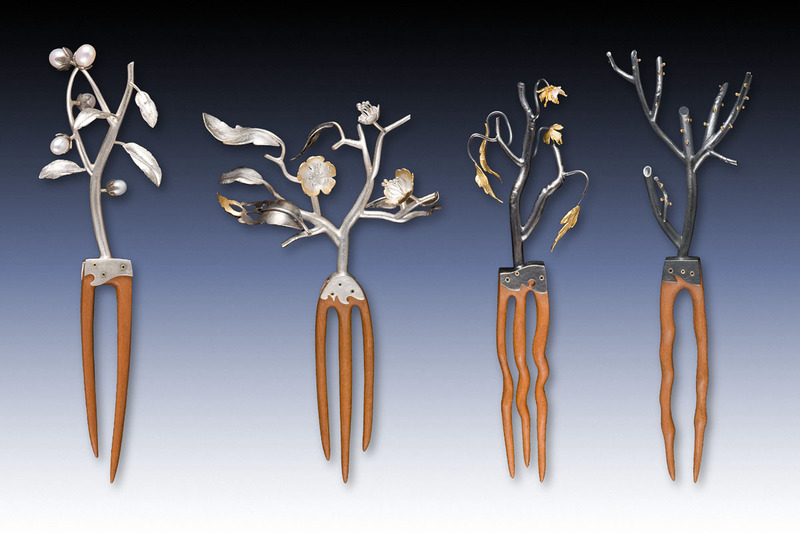 This was a part of my thesis show, “Instruments of Vanity”. 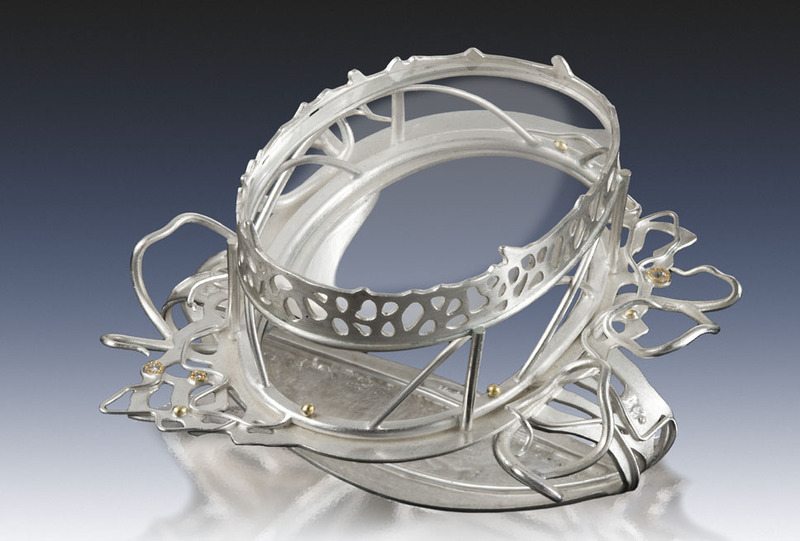 Vulgar Transcendence: I fabricated this diadem out of sterling silver, gold, antique mine cut diamonds, and an old magnifying lens. This was a part of my MFA thesis show, “Instruments of Vanity”. 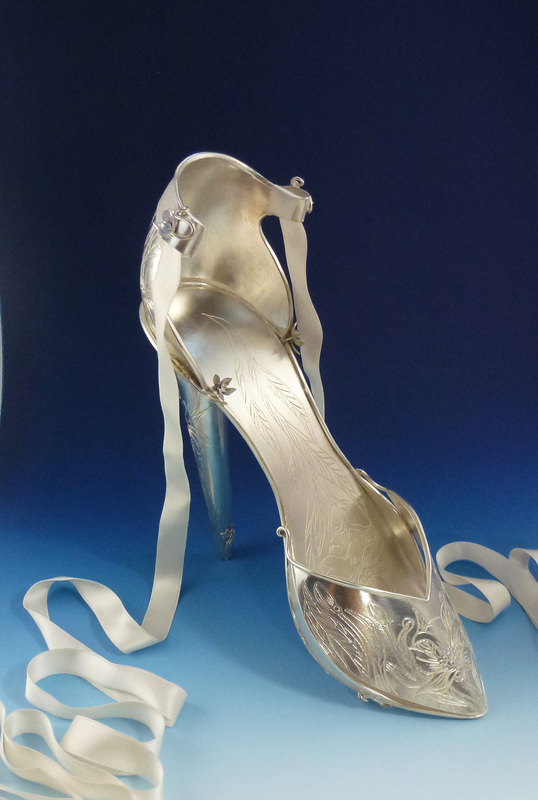 Oleander Stiletto: This is a full size stiletto shoe fabricated in sterling with a silk ribbon tie. 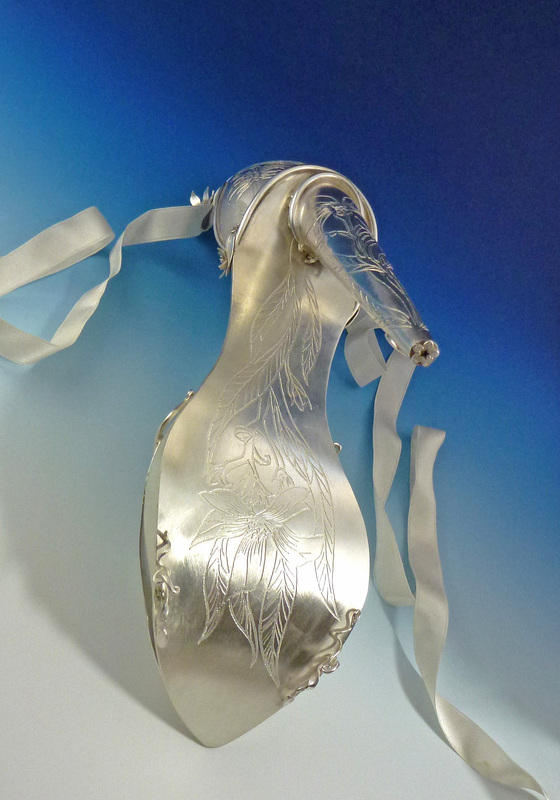 The entire shoe is etched with an oleander flower pattern. Though beautiful, the plant is highly toxic and therefore dangerous. 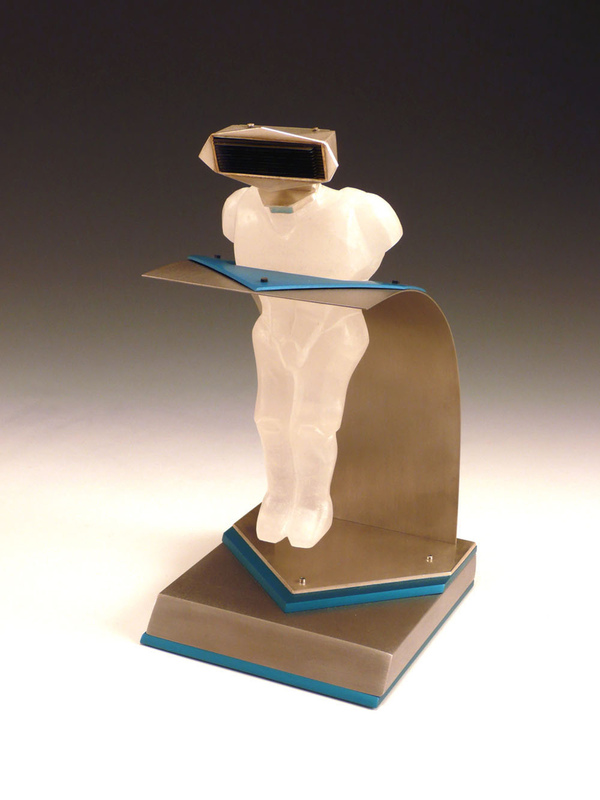 This piece was part of my MFA show, “Instruments of Vanity”. Oleander Stiletto: Detail Image. This is an image of the underside of the shoe. 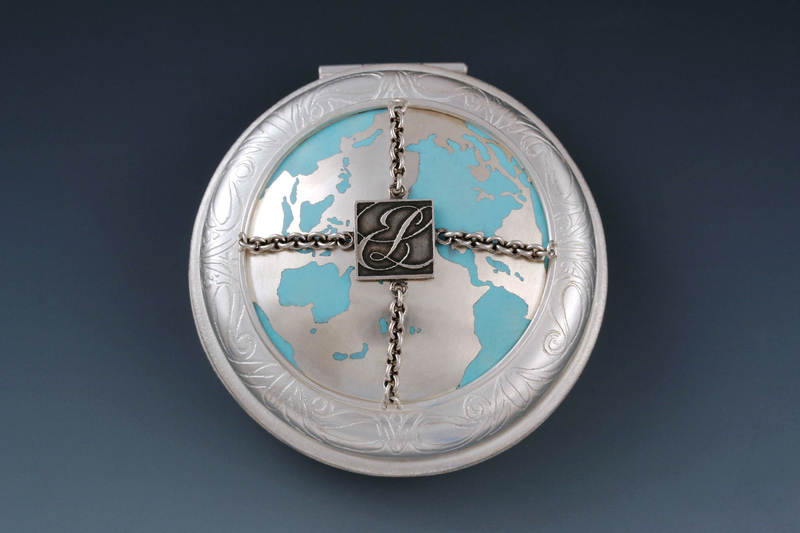 Estee Lauder Compact: I fabricated this compact out of sterling silver and champleve’ enamel. This was a piece in my MFA thesis show,” Instruments of Vanity”. 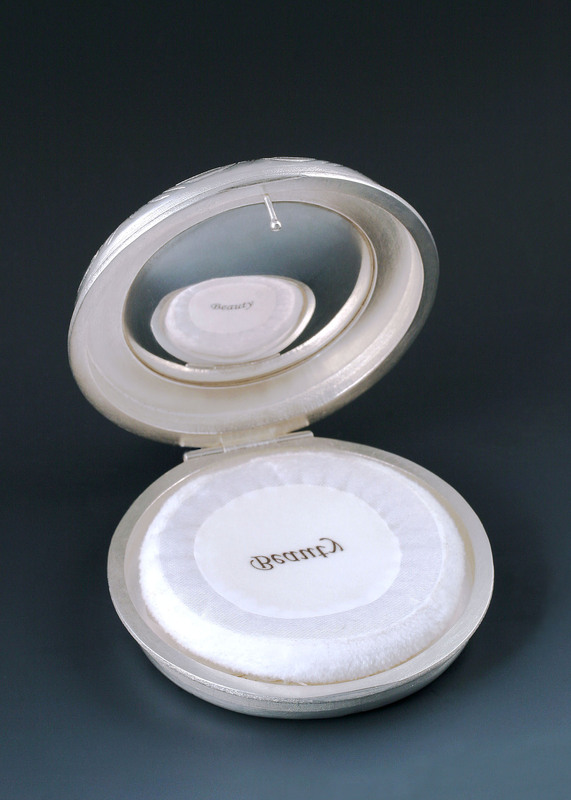 Estee Lauder Compact: detail image of the opened compact. 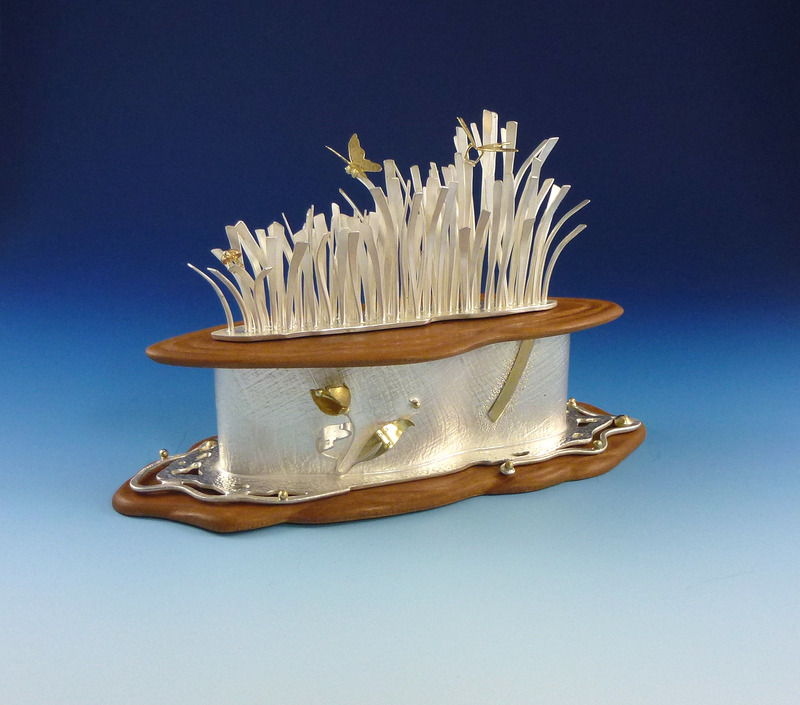 Creme de la Terre: This piece was a part of my MFA thesis exhibition, “Instruments of Vanity”. 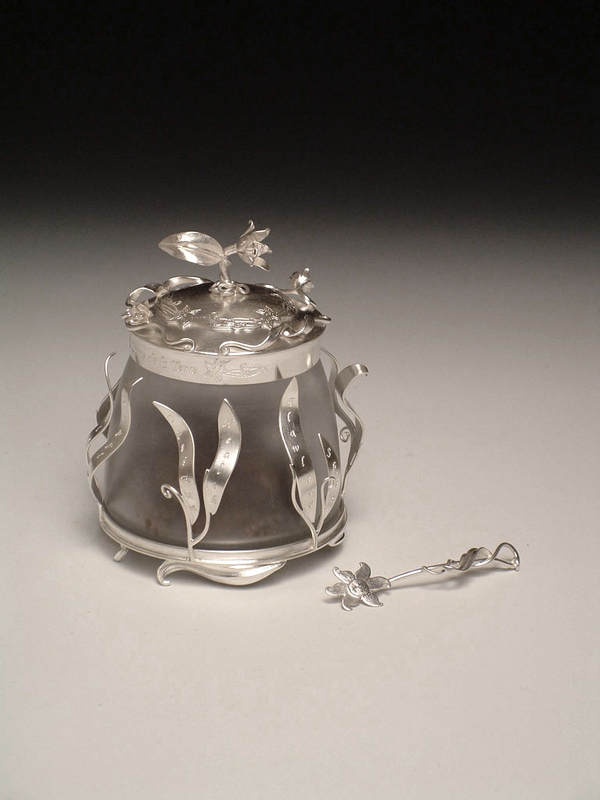 I fabricated this jar and spatula out of sterling silver, glass, lotion, and fishing tackle. Creme de la Terre: Detail image of cream jar opened. 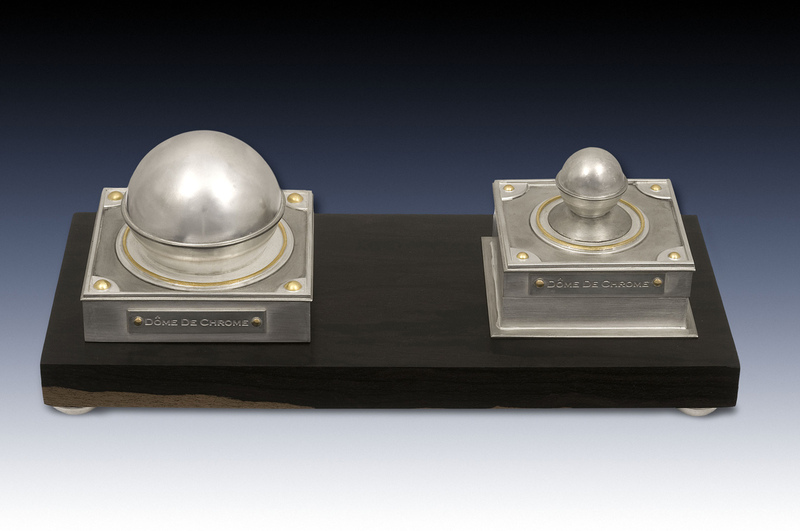 Dome de Chrome: I fabricated a polishing kit for a bald man out of sterling silver, nickel, gold and zircote wood. This piece was a part of my MFA thesis show, “Instruments of Vanity”. 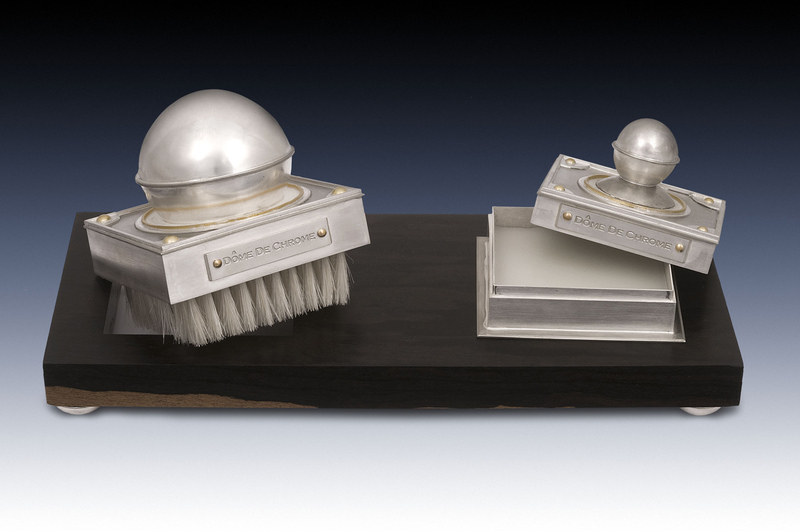 Dome de Chrome: Detail image of polishing kit revealing the brush and wax. Stealth X: This is a men’s razor I carved out of alabaster. I fabricated the base out of sterling silver, steel, aluminum, titanium, 10 razor blades, and nickel. This piece was a part of my MFA thesis show, “Instruments of Vanity”. So incredible Tara! I’m blown away! You are a treasure! Absolutely beautiful!